Psychologist Malcolm Hugo has completed 15 field assignments with Médecins Sans Frontières, including responding to the 2004 tsunami in Indonesia, the 2010 Haiti earthquake and the Ebola outbreak in West Africa in 2015. I worked in Australia as a clinical psychologist for many years in several areas of mental health, including working with children, adolescents and adults in hospital, community and rural settings. Although the main focus of my work has been with people experiencing the more prevalent anxiety and mood disorders, I have also worked with people with psychotic disorders and those with addiction problems. My interest in working with Médecins Sans Frontières largely coincided with my reduced parenting responsibilities as my children were now independent. My first placement was for six months in Aceh following the 2004 earthquake and tsunami. On returning to Australia I continued my work as a psychologist, taking time off for subsequent field placements until my retirement in 2013. Since then I have continued to work with Médecins Sans Frontières. 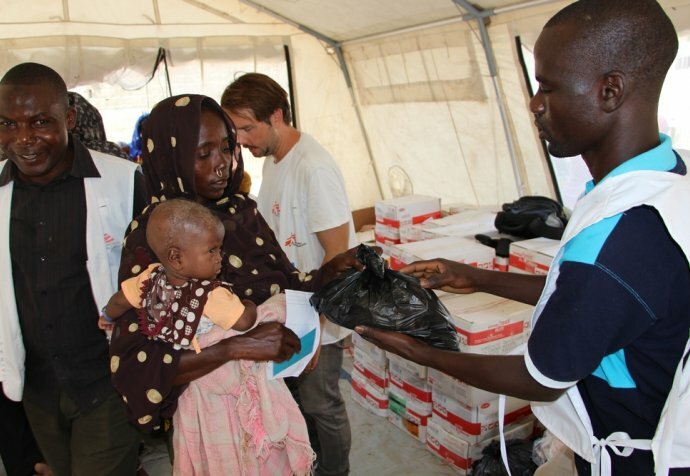 What do you find the most challenging aspect of work with Médecins Sans Frontières? Making a positive difference is obviously at the top of the list, but others include being able to adapt evidence-based psychological interventions to diverse cultural settings, overcoming language barriers, knowing where to start when confronted with chaotic situations (such as in natural disasters), and working with expat colleagues with different theoretical approaches, to name just a few. One of the most rewarding aspects is providing training in psychological counselling and psychosocial interventions for the local staff, and seeing the application of their skills in the field and the development of their careers. Could you describe the story of a patient who made an impact on you? Perhaps the most challenging cases involve helping parents deal with the sudden death of their children due to natural disasters, conflict or disease. One such case involved a couple whose two children, aged nine and ten, had drowned due to the tidal wave caused by Typhoon Haiyan in the Philippines in late 2013. After a week or two of searching for their children (their bodies had not been found) the couple were considering ending their own lives when I first met them in the ruins of their small house. They were subsistence farmers and the mother had a part-time job with local government. I had only met them as a result of visiting the worst hit areas and asking around about those in most need. Following our first meeting, with the help of a skilled translator (a psychologist’s most valued colleague), the father agreed to let us give his loaded rifle to a neighbour for safe keeping. Their grief was overwhelming as they shared the few photographs they had managed to retrieve of their children dressed in school uniforms. I visited them daily for a couple of days and then dropped in whenever I could over the next month or so. Within a few weeks there were significant signs of recovery. Despite their grief they were more talkative, were sleeping better and were no longer considering suicide. With the assistance of neighbours, they had begun rebuilding their house and replanting their small rows of vegetables. When I last met with them they were confident that they could make a new life for themselves. When I last met with them they were confident that they could make a new life for themselves. What are some of your key responsibilities with Médecins Sans Frontières? Typical responsibilities include assessing mental health and psychosocial needs, devising a plan of action, assessing what local resources are available, and employing and training local staff. Every situation is different. Emergency contexts such as natural disasters require different interventions than more longstanding medical emergencies such as famine or protracted conflicts. It is important to be able to size up each situation and begin a service as quickly as possible. It is also important to know what type of response is required. In the immediate aftermath of a natural disaster people may be more in need of social assistance. For example, after the earthquake in Haiti and the tsunami in Aceh, Médecins Sans Frontières conducted an assessment of basic material needs and were subsequently able to distribute necessary items such as blankets, cooking utensils and clothing. We also facilitated and restored community activities such as soccer games in Aceh, playgroups for children and public meetings where people can share their experiences and ways of coping. In Aceh, I held weekly meetings over three months with a Muslim women’s group. Discussions included grounding techniques (for coping with dissociation related to flashbacks), dealing with children’s nightmares, grief issues and shared problem solving. This approach of women meeting as a collective was also far more acceptable to the strict Muslim culture. What advice would you give other mental health professionals who are considering work with Médecins Sans Frontières? I would encourage other psychologists to work with Médecins Sans Frontières if they have the opportunity. In terms of advice, well, perhaps expect the unexpected. Flexibility and adaptability come to mind. Most contexts require a degree of pragmatism. You will have the opportunity to apply your therapeutic skills and it is fulfilling to be able to adapt evidence-based interventions in culturally sensitive and creative ways. You may also experience contexts where people are lacking the most basic requirements and a more psychosocial approach is needed. I think being able to adopt a practical approach and being able to take a step back and size up the overall situation is invaluable.